 VA Loan Group – Helping Veterans to refinance and save money & buy & finance homes. Low VA Rates is not affiliated with any government agencies, including the VA, FHA, or the HUD. VA lender ID #9797520000. As a veteran, your service and sacrifice to this nation have blessed countless lives. At VA Loan Group, we thank you for your service. Because of your military service you are entitled to many benefits including your VA Loan program eligibility. VA loans are a part of our niche loan programs that we offer – serving our men and women of the armed forces. We’ve helped thousands because we believe they deserve it. If you’re also a part of that deserving party, examine the VA loan program and other options with one of our expert VA loan officers to see which type of loan best suits your needs. We will help you to consider the costs and benefits of a VA loan and compare it to other mortgage loans available so that you can make an informed decision. You will find in most cases, however, the VA loan programs not only fits your borrowing needs but is also the best deal. Give us a few short minutes of your time so that we can help you achieve your goals. Many of our staff are also veterans which helps them to relate to you and your needs. Click Here To Learn More about VA Home Loans! See if You Qualify for the VA Home Loan Get Started Here! Why VA Loans Are The Best! Low VA Rates, LLC is not affiliated with any government agencies, including the VA, FHA, or the HUD. All our approved lenders are authorized VA, FHA and or Fannie Mae or Freddie Mac approved. *By refinancing the consumer’s existing loan, the consumers total finance charges may be higher over the life of the loan. Consumer NMLS Access - Branch NMLS# 1109426.